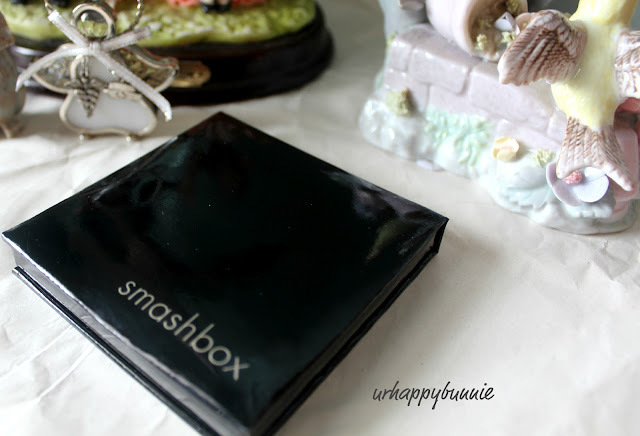 The Smashbox Iconic Eyes Palette is a nice neutral/smokey quad that would take you from day to night. I bought this from Sephora online a few weeks back and I featured this one too in my Mini Sephora haul together with the items I bought. This quad was on sale for $10-15, I'm not entirely sure now how much it was exactly since I checked back at Sephora and this particular palette is not available anymore and it wasn't showing up in my previously bought items too. It comes in a very simply packaged black cardboard palette that was bit disappointing since online it clearly look liked it was in a plastic case. Anyway, for the price, I really can't complain. 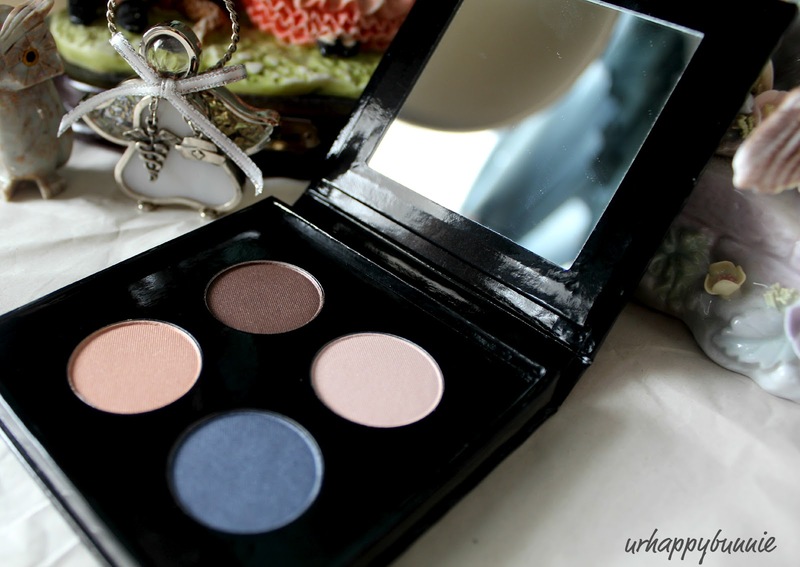 It has 4 full sized eyeshadows that are really very pretty. It has a metallic choco brown shade, a frosty champagne, a frosty peach and a metallic navy. They are adequately pigmented. I cannot compare their pigmentation to Urban Decays' which I believe is one of the brands that produces really pigmented eyeshadows. Finger swatches are really good but picking the shadows up with a brush creates a lot of fall outs and appears to be chalky. They are easy to blend out to the point where you can even make them very sheer, which I am not sure if it's a good or bad thing. Over all I think this is a good palette and since I don't own any other Smashbox eyeshadows I really don't know if this is true to all Smashbox shadows. It is a nice quad though, great for traveling since the palette has a mirror too. I'll give this palette a 3 out of 5. I think that my Wet n Wild Trios are better than this - much better pigmentation and much more affordable. I bought this palette too! I think the brown and the blue shades are nice, but you are right the lighter/hightlight shades are kind of dissapointing. I have all of their eyeshadows, and the others I have are so much better. I think this was an older formula. Awww. I guess I'll have to try the new ones to see if it's better. I love the colors in this palette, especially since they're metallic and the colors are all very pretty! 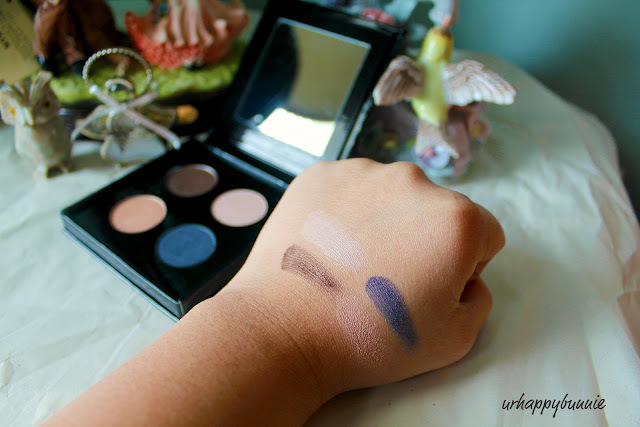 Thanks for the review on it :] I'll check out the Wet n Wild Trios also. Great purchase! the blue eyeshadow is amazing! I can't wait to see you with them! Thankyou for the review, the colours are really lovely! Ooh, you got it for a steal!! Thank you very much for the review! I was excited about Smashbox stuff always but didn't buy anything yet since I was afraid to buy badly pigmented eyeshadows. Now I know that I won't buy Smashbox eyeshadow haha. Thank you for your comment also and I am so sorry for my late reply! Did you already try out a fake tattoo? Please go to my blog !